My friend Leigh Adams, who I’ve mentioned many times here, told me about the most amazing mosaic artist that I had to share with all of you. His name is Ruslan Sergeev and he is a Russian artist whose work is all over the world. 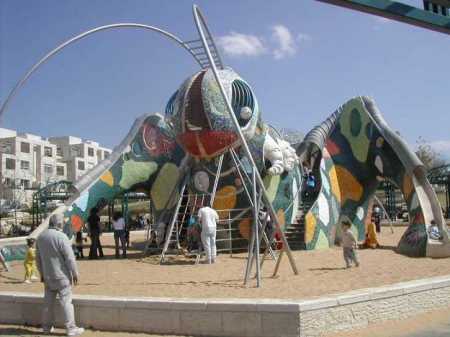 He does mosaic playgrounds. All I can say is WOW! I think you will too. He works in Israel most of the time but his sculptures are all over the world. These are absolutely fantastic! !